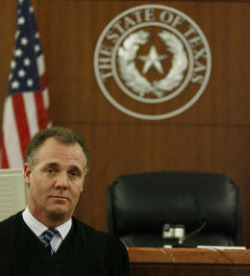 Eighteen months ago, Texas Governor Rick Perry appointed Williamson County DA John Bradley to head up the Texas Forensic Science Commission. It was like turning over the Vatican to Richard Dawkins. Bradley, like most Texas prosecutors, thinks forensic scientists have one role: helping the state convict bad guys; Perry’s atheist pope likes forensic testimony crafted to the needs of the prosecution. I was out-of-town on a speaking engagement when “The Confessions” originally aired on Frontline. I strongly urge you to watch the entire program online. It won’t be a pleasant experience. Listening to this twisted saga kept taking me back to the recent trial of Curtis Flowers–the stories are very different in some respects, but wrongful convictions follow a familiar pattern. Two of the attorneys representing the defendents in this case, by the way, are Des Hogan and George Kendall, key members of the legal “Dream Team” involved in the fight for justice in Tulia, Texas. Here’s the Texas Observer article that sparked media interest in the case of Claude Jones. The Claude Jones saga: Did Texas execute an(other) innocent man? Note: Dave Mann has written a well-researched feature story on this case for the Texas Observer. Not that most Americans would care, but it appears that Texas executed another innocent man in 2000. 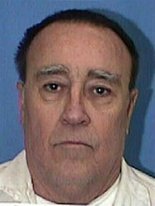 This story from the Fort Worth Star-Telegram relates the sad fate of Claude Jones, a St. Jacinto man convicted of killing a liquor store clerk in the course of an armed robbery in 1989. Prosecutors showed the jury a single hair that they claimed belonged to Jones. They couldn’t be sure, mind you, and no DNA test was conducted, but they were pretty sure. But that wasn’t enough for a conviction, corroborating testimony was required. Enter Timothy Jordan. In exchange for a lenient sentence, he testified that he had served as an accomplice and that Jones was the trigger man. Three years after Jones was executed, Jordan recanted his testimony. Need you ask why? He was threatened with dire consequences if he refused to cooperate with prosecutors. We’ve seen this movie before, haven’t we? George W. Bush was fixin’ to leave the governor’s mansion for bigger and better things when he gave Jones’ execution the thumbs up. No one on his staff mentioned that the hair that so impressed jurors had not been tested. Anthony Graves is back in the free world after eighteen years of hell. Charles Sebesta, the prosecutor who sent Graves to death row, still thinks he nailed the right man. If you asked the Texas Rangers who conducted the “investigation” they would probably agree with Sebesta.